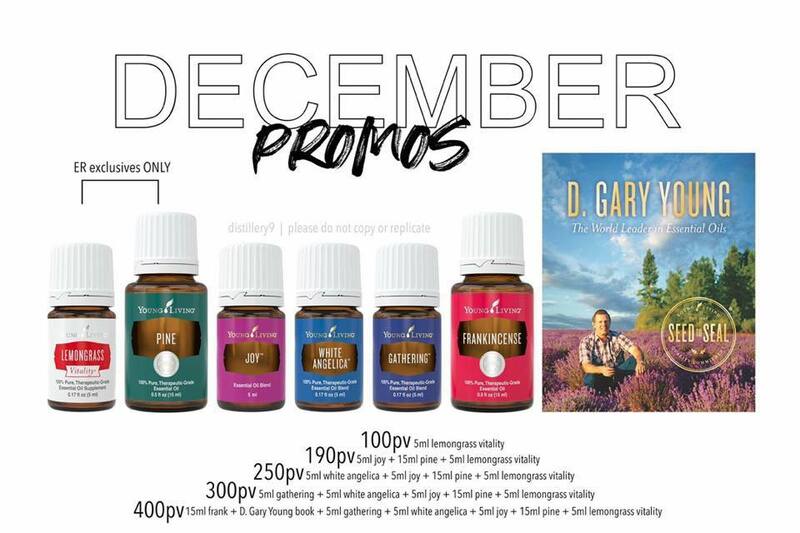 I’m not really sure how it’s already the very last month of 2018, but I am excited that Young Living is knocking the promos out of the park to make the year really go out with a bang! Joy. White Angelica. Gathering. I’m a huge fan of oils used for emotion and feelings, so I’m pretty pumped to see these rockstars in December’s lineup! Want a clean, invigorating smell for the diffuser? Lemongrass is a perfect choice. It’s also a favored oil for adding to your wool dryer balls to freshen up your laundry. Athlete needing soft tissue support? Want those joints to feel great like they used to? This one is your ticket! Emotionally this one is known to cleanse the mind & provide feelings of courage & hope. ➕Joy (5ml): One of Gary’s Great Day Protocol oils 🙌. This oil is a powerhouse when you wake up on the wrong side of the bed or if you have a pre-teen / teen going through some big emotions linked to hormonal changes. This one we love to diffuse to literally change the emotional atmosphere in the room. It is known as an oil that helps connect mind/body/ and soul and can pull us out of grief. It is a big heart opening oil and often the holidays can stir up a lot of emotions for people. ➕Pine (15 ml): 🌲Hello Christmas Trees! This plus some Christmas spirit from last month’s promos on the diffuser sticks in your YL branded Christmas ornament or your diffuser – SWOON!!! Your joints and muscles will also love being rubbed with some Pine. If you struggle with being a little stressed and tense around the holidays, this is the grounding oil you need. It revitalizes the mind, body, and spirit. In Dr. Mein’s book, this blend is recommended for feelings of: Disharmony, greed, loneliness, rejection, shame, weakness & feeling others emotions too deeply. It’s also a very protective oil, an oil that keeps people’s negative energy away from you. Important for anyone who does body work or has a job where people talk to them about their problems 🤣😬😳 like your hair dresser, teachers …. they gonna need this by the gallon. It’s also a known tantrum tamer oil. Often our little ones experience BIG emotions and need some help with processing them. This oil is a great tool to have in your tool box. Only available on ER I am amazed that we get it for FREE this month! ➕ Gathering: The Perfect blend to bring loved ones together, this blend raises your attraction rate friends – if you’re doing a Young Living Business, this oil is a must. Want to bring more people to your classes and events? This oil! Also, this oil is great for anyone who experiences chaotic energy and needs to focus and get into alignment with their highest potential. I like to call this the self-improvement oil. It’s gives us clarity and helps us stay grounded. The oils in this blend increases the oxygen around the pineal gland and pituitary gland, bringing greater harmonic frequency to receive the communication we desire. ✨Frankincense 15 ml: Free Frank?! What? Yes you read that right. Um go look at the price of this oil in your virtual office. When Frankincense, the 15 ml size is free you get Frank for free (you might even get it twice!) HUGE immune system support oil. Like the powerhouse. This is also an incredible oil for your brain. Frankincense activates the part of your brain that does logical thinking versus emotional thinking. The pineal gland in your brain loves it some frankincense so this happens to be a fantastic oil for supporting your hormones since the production of your hormones start in the brain. The pineal gland produces melatonin and serotonin. No wonder why frank is also GREAT for sleep!!! One of the oils brought to The Christ child, this is a gorgeous oil to celebrate Christmas with as well. ❤️ What oils are you most excited about?!! — feeling grateful.